He disputes the justification that deploying robot soldiers would potentially save lives of real soldiers. “Autonomous robotic weapons won’t get tired, they won’t seek revenge if their colleague is killed, but neither will my washing machine. No one on your side might get killed, but what effect will you be having on the other side, not just in lives but in attitudes and anger? “The public is not being invited to have a view on the morals of all of this. We won’t hear about it until China has sold theirs to Iran. That’s why we are forming this campaign to look at a pre-emptive ban. US political activist Jody Williams, who won a Nobel peace prize for her work at the International Campaign to Ban Landmines, is expected to join Sharkey at the launch at the House of Commons. Williams said she was confident that a pre-emptive ban on autonomous weapons could be achieved in the same way as the international embargo on anti-personnel landmines. “I know we can do the same thing with killer robots. I know we can stop them before they hit the battlefield,” said Williams, who chairs the Nobel Women’s Initiative. 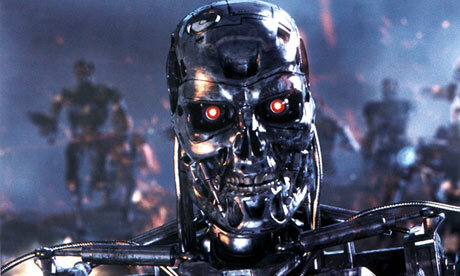 “Killer robots loom over our future if we do not take action to ban them now,” she said. “The six Nobel peace laureates involved in the Nobel Women’s Initiative fully support the call for an international treaty to ban fully autonomous weaponised robots. ← Will new fed guidelines force companies to hire more employees with criminal pasts?